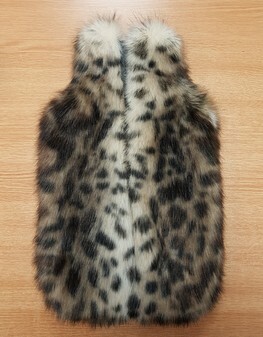 Fabulous Hand Made in the UK - Faux Fur Hot Water Bottle Covers. Super Soft Faux Furs perfect to snuggle up with. Our Faux Fur Hot Water Bottle Covers are lined with cuddle soft Velboa. This double layer is excellent for maintaining the heat throughout the night. Our Hot Water bottle covers are made with a hidden zip that allows the bottle to be filled easily or unzipped to be removed and machine washed on delicates. Dry naturally. Made to fit a standard hot water bottle.